If I had to pick a favorite scent for my beauty products, it would be without a doubt coconut. 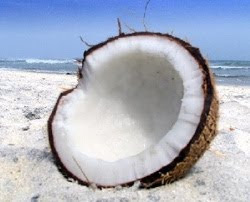 Being a beach person and an ocean lover, coconut always brings back great memories of endless days spent roasting under the sun, with not a care in the world, surrounded by a sweet smell of coconut tanning oil. Gone are those days, and gone is the tan, since we've realized how bad "roasting under the sun" is for us. But the smell, that coconut smell, we can still enjoy that! 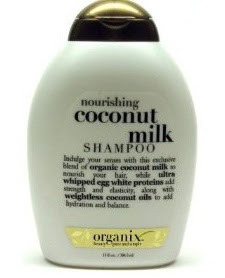 For around $6.00 you can make your hair smell wonderful with Organix Coconut Milk Shampoo. Another $6.00 also buys you the conditioner. When I use both products together, there is always someone complimenting me on how great my hair smells. The good thing about Organix is that it's not just the scent, but the product is good, too, leaving your hair smooth like silk. 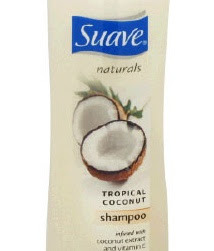 If you try to go the cheaper route, Suave also has coconut shampoo and conditioner that smell pretty good, but as I've said before on this blog, if I use these Suave products, my hair starts falling off, no joke. But don't go by me, it can be a personal reaction, you might just love them. 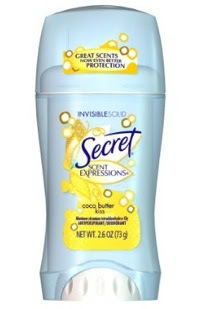 Another coconut product I like is a deodorant by Secret. Even though the scent says "Coco Butter Kiss", to me is a great tropical, coconutty scent. Bumble and Bumble Creme de Coco shampoo and conditioner. The price tag is a little too high for back to basics products: $21 and up! So for now I'll wait. 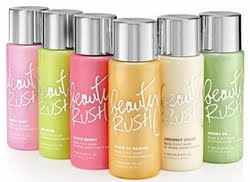 Victoria's Secret Beauty Rush in Coconut Craze. A three-in-one product that does nothing well! It should be a shower, bubble bath and shampoo in one, but as we all know, when you try to do too much at once, you basically do nothing well. But the worst thing about this product is the scent! This is probably the worst coconut scent I've ever smelled, because it doesn't smell like coconut, but more like plastic coconut if that's even a good description of it. It was so bad that I used the product twice and then I just got rid of it. I couldn't stand the smell. And this is not to crap on Victoria's Secret beauty products, I love their Dream Angels collection, but they just totally missed that coconut scent back there! So... do you have a favorite coconut product? since i have nothing to do rite now i may comment on all your posts lol. Anyway i have to say my favourite coconut product is the coconut body butter from the body shop. SMELLS SOOOOOO GOOD. The best I've found is a body lotion called Skin Trip by Mountain Ocean. You can usually find it in natural health food stores. I am constantly having people tell me how good I smell when I wear it. Plus it's goes on light and absorbs fast.